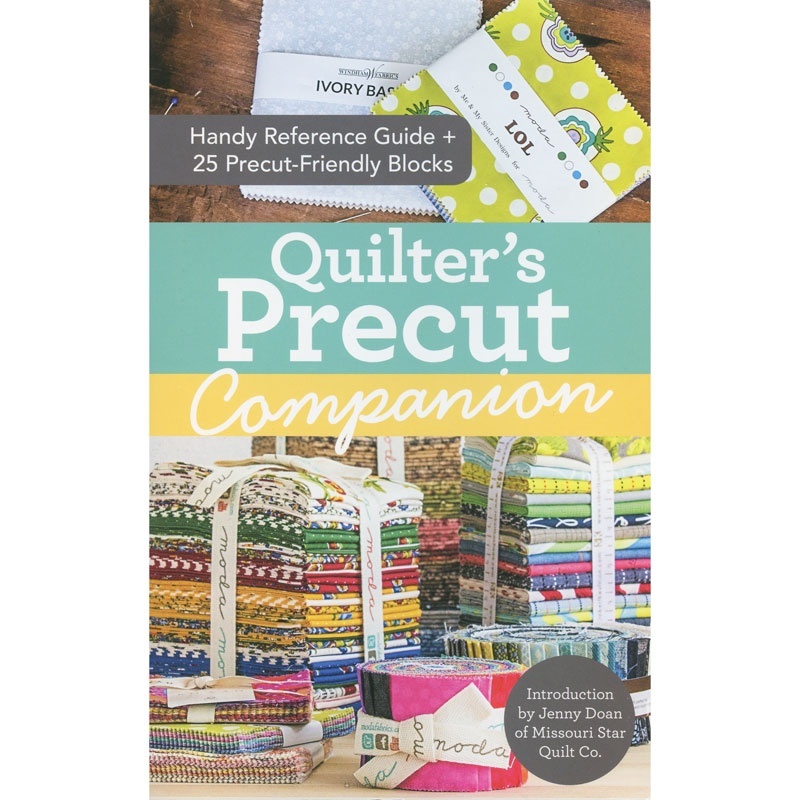 Everything you need to know about making quilts with precuts... Master precuts with this complete and indispensable guide to working with Charm Packs, Layer Cakes, Jelly Rolls, Turnovers, and more! Sew 25 traditional blocks from squares, half-square triangles, and precut strips with timesaving tips and tricks from the one and only Missouri Star Quilt Company. You'll cover all the basics, including precut options, standard quilt sizes and needle types. Plus, finish your quilt like a pro with yardage and cutting info for borders, backings, and bindings! Easy-to-use charts, tables, and illustrations are at your fingertips in this handy, spiral-bound guide that's easy to take with you.